Employees will need to be fully moved into the new La Cañada Flintridge City Hall by March 1. City Hall will look a lot different starting March 1, the deadline for employees to leave its home of some 40-plus years, and start work less than a mile away at a new facility near Olberz Park. Escrow will close that day on the long-time municipal headquarters. At a recent City Council meeting, City Manager Mark Alexander said the move date is actually set sooner — on President’s Day weekend — and everyone must be out by the start of March. President’s Day is Feb. 18, but some commission meetings will continue to be held at the old City Hall at the end of the month. 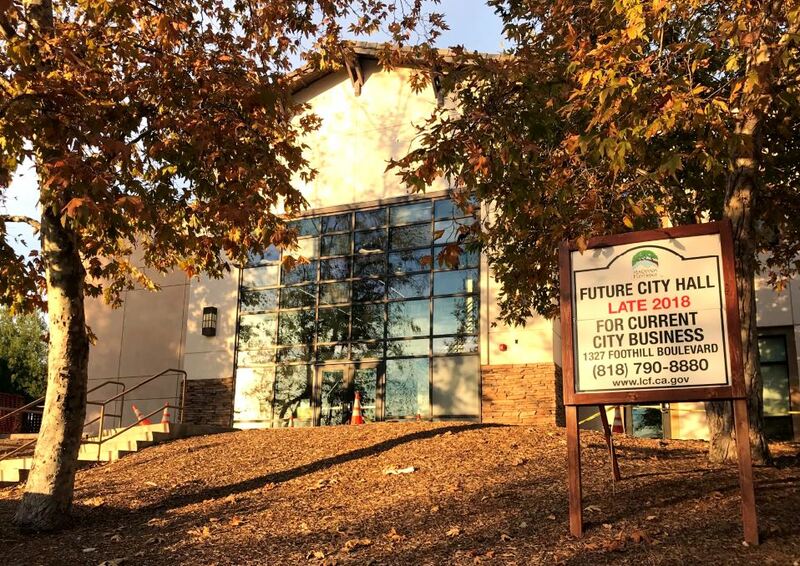 The new City Hall will soon have the LCF Chamber of Commerce as a tenant, when it moves from its current location in the Allen Lund Co. building on Angeles Crest Highway. City Council is also seeking other new tenants, but the approach to attracting new occupants and which type might move in is still being debated among council members. City Councilman Jonathan Curtis said he would like to see an “incubator” approach used in finding tenants for the new City Hall. “If you look it up, it takes smaller businesses and tries to grow them, or incubate them,” Curtis said. He supports finding a variety of local tenants, including ones focused on space and technology in particular because of the NASA Jet Propulsion Laboratory’s presence in the community. “It’s economic development. It is a growing business in our area,” Curtis said, adding the space-related field can cross over into public and private schools and even allow for internships. Curtis said the incubator, which could be focused on space and space technology, could feature small businesses operating locally and statewide. Meanwhile, Alexander said in an email that LCF has entered into a broker agreement with NAI Capital Inc. in Pasadena to market the available space at the new City Hall — approximately 7,100 square feet — to prospective tenants. Alexander said the city is open to different types of office uses but they must be compatible and can’t interfere with City Hall operations. The tenants also can’t have high parking demands, be excessively noisy or perform hazardous activities. Proposals will be evaluated on a case-by-case basis with “incubators” being considered but “evaluated based on the aforementioned concerns,” Alexander said. Though the city has a preference for leasing to a single tenant, Alexander said, it is not hostile to the idea of multiple tenants and there is no deadline to execute a lease. What’s not a question anymore is who will become the owner of the old City Hall. That will be Knight Insurance from Glendale. Alexander said escrow on the current City Hall closes on March 1 and Knight Insurance will remodel the interior before it officially opens for business there. The purchase/sale agreement stipulates a purchase price of $3.3 million with a $250,000 deposit into escrow, with the balance to be paid at the close of escrow, he said. The lease agreement with the Chamber of Commerce is still being finalized, Alexander said, adding he would not disclose the terms until it’s finished. He said the city is excited to welcome the chamber as a tenant, as it has been a great partner in working with local businesses and providing special community events and activities. LCF officials are looking for tenants to occupy what will become the new City Hall building. Chamber CEO Pat Anderson said the organization’s projected move date is the first week of April. She said the change in location will allow the chamber to serve its membership better by being more efficient. The chamber has been in its current space, at 4529 Angeles Crest Highway No. 102, since 1987 but in the past has been located in city headquarters, Anderson said. Around 1980, the chamber moved to a small location in City Hall that is currently part of the Planning Department and remained there until it moved to the Allen Lund Building, Anderson said. Before moving to the city space, the chamber was located at 749 Foothill Blvd. in a tiny, wood-frame building, she said. 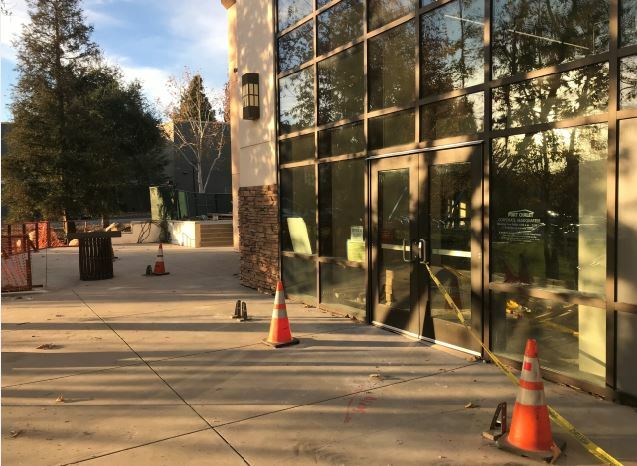 In February 2017, the city purchased the Sport Chalet headquarters, to be used as the new City Hall, in a transaction that included the adjoining Montessori school property. According to a statement, the $11.23 million purchase was completed with a $5.5 million deposit from general fund reserves, $150,000 in operating funds and a $5.58 million interest-free note provided from the sellers for a period of 30 months through August 2019. The city started renovations to the new City Hall building in July 2018. The total initial project cost has been estimated at $18.3 million.